RAD Nutrunner offer Battery Multipliers, Electric and Pneumatic High Torque Nut runners. Digital & programmable pistol grip, battery Nutrunner! No air lines! No power cords! No hassles! 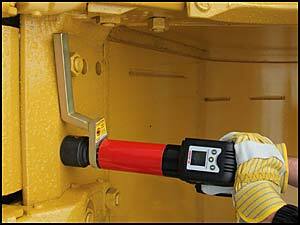 world's first DIGITAL and PROGRAMMABLE Cordless, Lithium-ion powered, Pistol Grip Torque-Wrench. With digital display and single increment torque settings. The color screen with keypad provides unmistakable visual LED indicator lights. Featuring integrated calibration, a lithium-ion battery and a dual scale reading: Ft.Lbs and Nm. The 18 Volt DB-RAD Series of digital battery powered wrench are ideal for any application, especially where compressed air or electricity are not readily available. of +/- 5% & repeatability of +/- 2%. 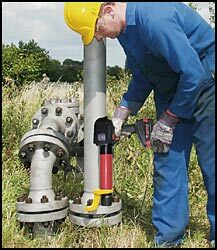 Digital DB-RAD Series battery wrench comes individually calibrated, traceable to NIST standards..
RAD® high torque wrench are planetary gear reduction torque-multipliers designed to deliver the most powerful, accurate and safe load of any torque multiplier on the market. RAD product lines include pneumatic, electronic, electric, and battery powered Nutrunner, are capable of achieving high torque values up to 8500 ft.lbs and an accuracy between 3% to 5%. 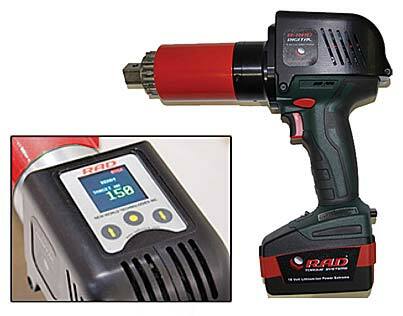 RAD Distributors have access to spare parts, technical updates, service facilities and Ccalibration Equipment. RAD High Torque NutRunners are the FAST solution for applications needing up to 2" of thread run down. All Tools are available for Hire / Rent from Melbourne, Victoria. 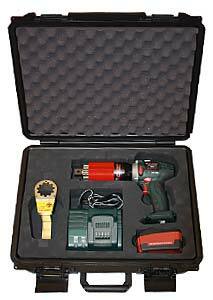 All Tools can be delivered to regional Vic, Tasmania and NT Northern Territory, Western Australia, WA. Delivery is Australia Wide.